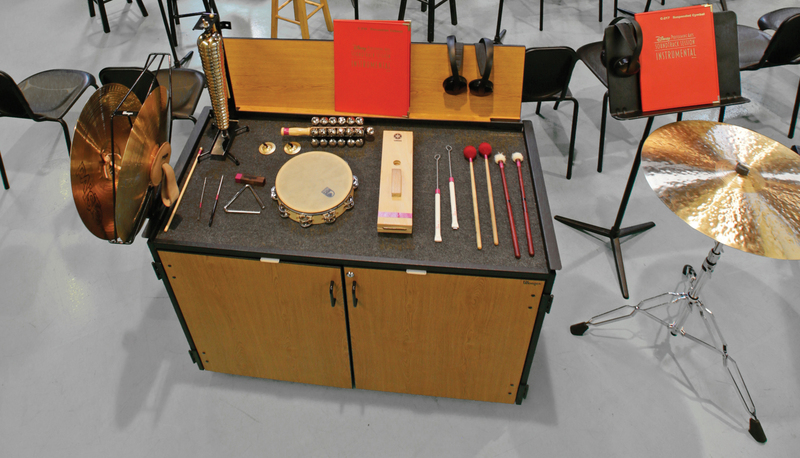 Just roll it into place and you’re ready to play. 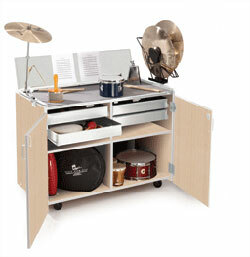 Wenger’s Percussion Workstation lets you take everything from cowbells to cymbals with you in a self-contained performance station. 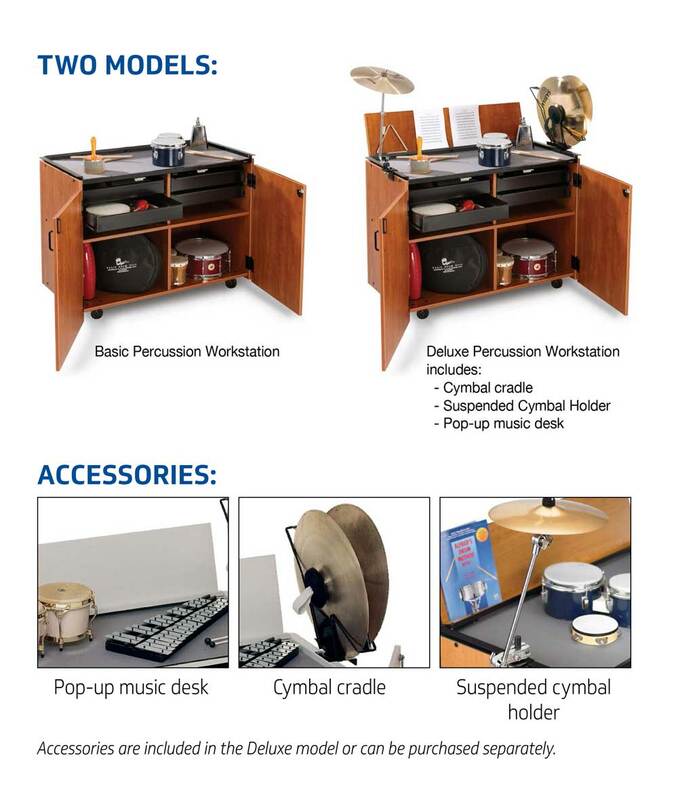 All our percussion equipment is now organized in a mobile solution that’s easy to move between rehearsal halls and performance venues. It’s well worth having.